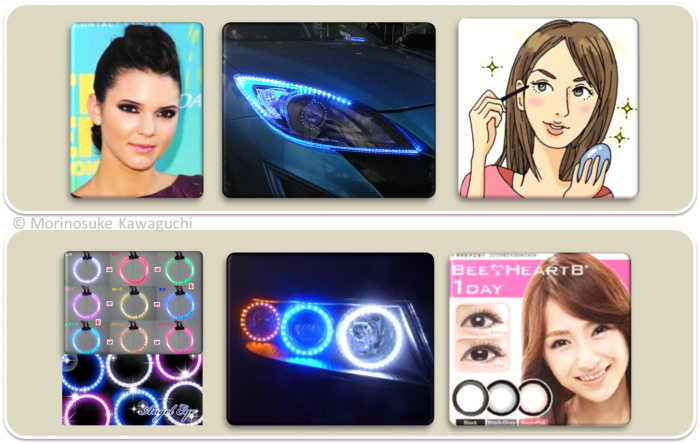 In 2011, one of the big trends of the world’s most important Motor Show IAA was how clearly car fronts now resemble facial expressions, and how this was most reflected on the shape of the front lights. With models such as BMW’s i8, Toyota’s FT-86 II, Ford’s Evos or Mercedes Benz’ Concept, car manufacturers’ design favors aggressive faces and human-like eyes. The trend which is now mainstream actually started decades ago and in Japan it was very much inspired by subculture. Japanese car makers Honda and Nissan were the first to enter this field. Nissan launched a series in the 90s inspired by Japanese shoujo manga (girls’ manga) eyes and makeup ideals. 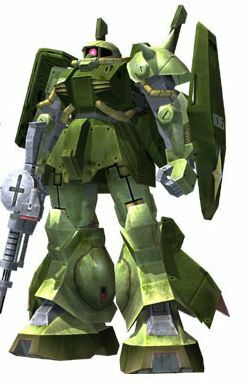 Honda developed the AFS (adaptive front lighting system) that can be traced back to the robot Zack from the famous Gundam anime series and his swinging eye. The AFS was adopted by other automobile manufacturers. In this way, subculture showed hints for product design and innovation that only years later became a mainstream hit. German automobile manufacturer BMW ventured into this territory in the early 2000s together with its car supplier Hella. It gave birth to the E36 with its Corona ring front lights, better known as Angel Eyes. By now, Angel Eye upgrade sets are available for all major car brands, and they enable car owners to install Angel Eyes into their cars.